The approaching anniversary of President Kennedy’s assassination was certain to bring with it new tales of how the U.S. intelligence apparatus did not kill him. And sure enough, a new we-didn’t-do-it account of the murder landed in bookstores this fall — A Cruel and Shocking Act: The Secret History of the Kennedy Assassination, by investigative reporter Philip Shenon. Dave Davies interviewed Shenon for the N.P.R. program Fresh Air, broadcast on October 28, 2013. Unfortunately, like many other interviewers on this topic, Davies apparently knows nothing of any importance about the case. So when Shenon launched into the F.B.I.’s role in the investigation, Davies was unable to ask a single insightful question. In reality, Hoover had no doubt that there was a conspiracy. The C.I.A. reported that Oswald went to Mexico City in September of 1963 and contacted the Cuban and Russian embassies. The Agency had photos of “Oswald” in Mexico City and recordings of “Oswald’s” phone calls. Within 48 hours of the assassination, President Johnson asked Hoover about that trip. Johnson: Have you established any more about the visit to the Soviet Embassy in Mexico in September? Hoover had proof, photographs and tape recordings, that someone impersonated Oswald in Mexico City. In September of 1963, Oswald was a nobody. Why would someone want to impersonate him? The only genuinely instructive part of the interview concerned the influence of Oliver Stone’s movie, JFK. Public response to the movie prompted the President John F. Kennedy Assassination Records Collection Act of 1992 which resulted in the release of millions of pages of documents. Shenon said that his own research benefitted from that material, but I find his assertion very hard to believe. Philip Shenon told N.P.R. that the destruction of evidence in the case was a major theme of his book. The F.B.I. and the C.I.A. lied about the crime, but they only did so because they had failed to prevent the assassination and wanted to cover their butts. There was no conspiracy. I would remind investigative reporter Philip Shenon that the removal of President Kennedy’s body from Dallas was a crime. The autopsy was a crime. The destruction of evidence was a crime. The fabrication of evidence was a crime. The federal government didn’t have jurisdiction in the case and the Warren Commission didn’t have the legal authority to classify evidence, so that entire process was a crime. Thank goodness there was no conspiracy! I’d hate to think all those crimes were committed to protect Kennedy’s killers. Deb Reichmann, “Oswald no longer thought to be voice on tape,” Chicago Sun-Times, 11/22/1999, p. 20. Reichmann’s title was a bit odd; Oswald was never thought to be the voice on those tapes. Intelligence analyst John Newman quoted the same phone call between Johnson and Hoover in his 1995 book, Oswald and the CIA. The C.I.A. absolutely connected the dots in Mexico City because they invented those dots. C.I.A. 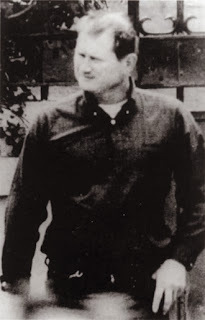 officer David Atlee Phillips admitted in 1978 that there was no evidence Oswald was photographed in Mexico City or that he visited the Soviet Embassy. In fact, there is no evidence that he went to Mexico City at all.